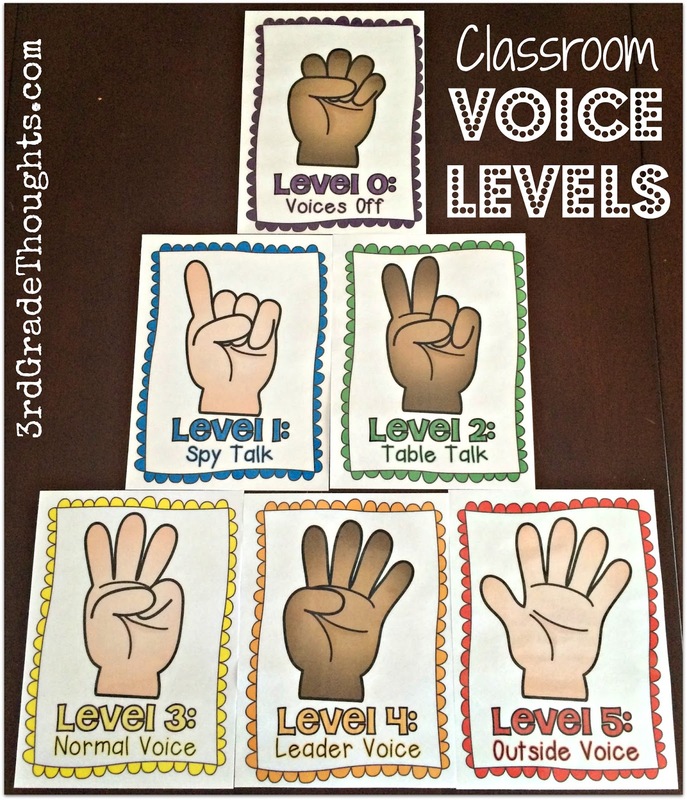 I love using these voice levels and the simple management of just showing a certain number of fingers as a gentle reminder. 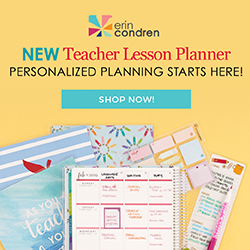 These full-size posters hang in a prominent space in the front of our classroom and in the packet I have included different names at certain levels (be sure to download the Preview on TpT to see all of the choices). I have provided pre-made charts at each level in this packet as well as a blank PDF for you to print and use to create with your students. As with all anchor charts, I highly recommend creating them with your class so they feel ownership of the expectations. 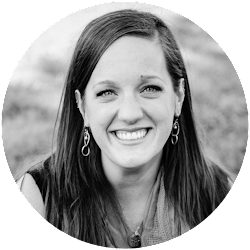 In this packet, there are also editable PowerPoints that you can add your own typed text into the charts for a nice finished product in your classroom. In my class, I would also print these posters smaller (more on how to do that in a bit!) and post the half-sized posters around the classroom for center time. This way, I could ensure that those of my kids who were in Read to Self (at Voice Level 0) would be in a space labeled and reserved for no talking. 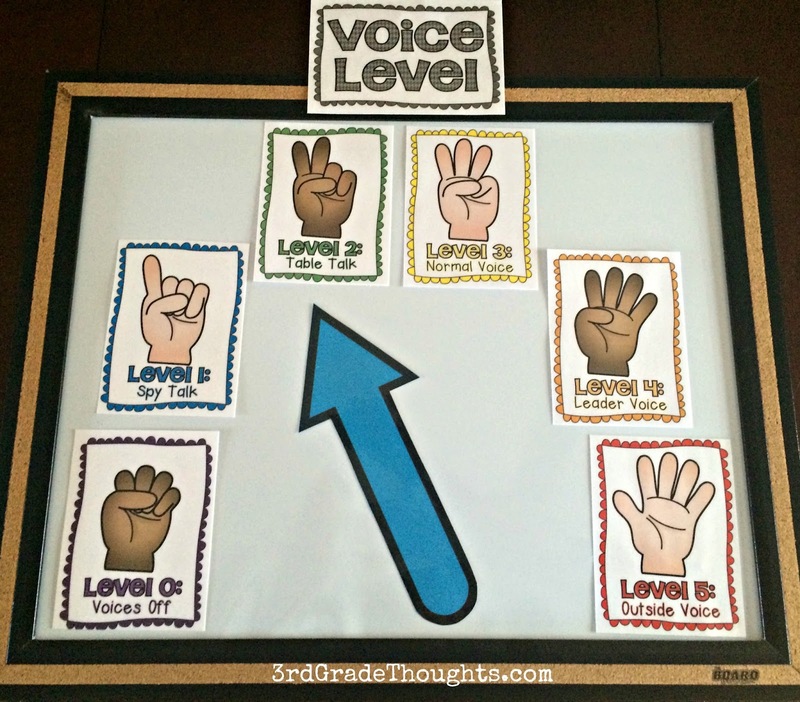 My kids who were working with a partner in Read With Someone could sit in the part of the room labeled Voice Level 1. It worked well to limit the amount of distractions that can oftentimes pop up! If you are familiar with my Classroom Jobs (blogged about HERE), you'll know one of my jobs is Noise Monitor. 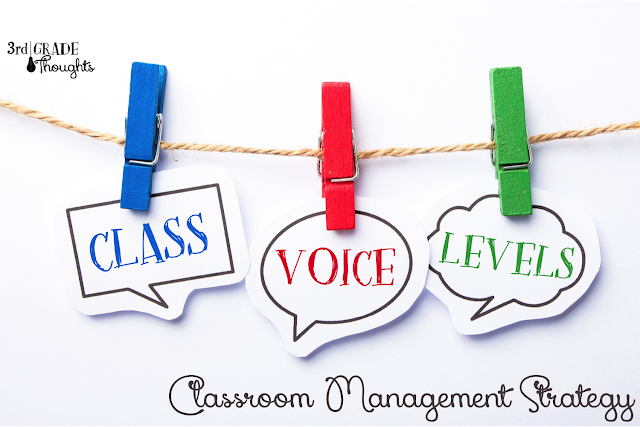 This has been a great way to incorporate student leadership and responsibility. I assemble these noise levels with the included arrow and title onto a magnetic white board I got on Amazon (pick it up HERE). Then, I put magnets on the back of the arrow and have the Noise Monitor move the arrow to point to the appropriate Voice Level for the task we're working on. 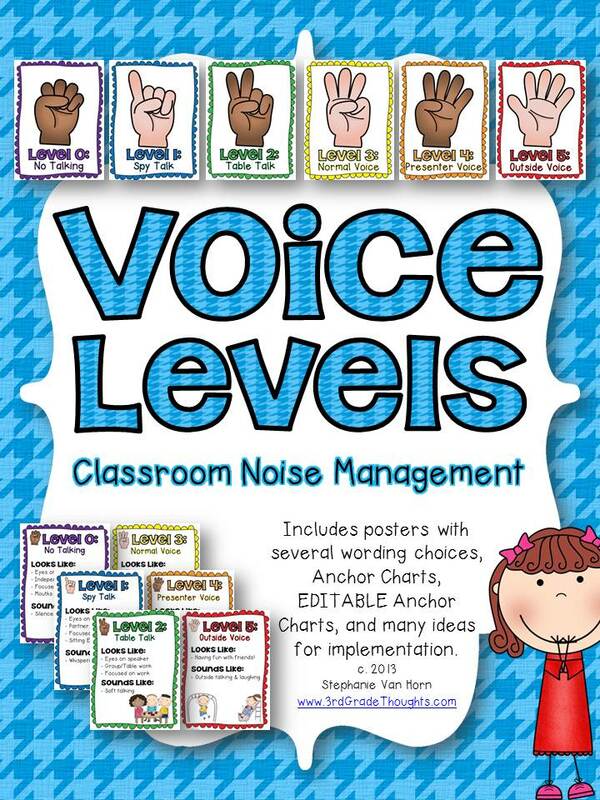 In the beginning of the year, I usually tell them what level, but after a few weeks and with the anchor charts handy, I ask them what Voice Level would be best. The nice part about assembling this on a small white board is that I can move it around the class and even bring it with us if we're heading to a guest speaker or are working in the hallway-- anywhere! You could also use these posters (at any size) and attach binder rings to the top to be used as flip charts. Yet another way I use these guys is to make bookmarks (surprise!) 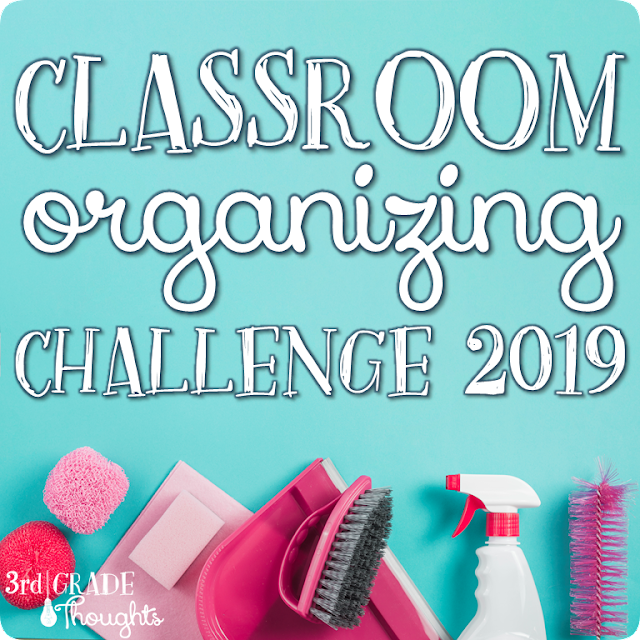 for some of my kiddos who really struggle. The nice thing about these bookmarks is they are tall and skinny so they don't take up much space and can be taped to a desk or binder as a gentle and consistent of the voice levels. I know there are a lot of printing strategies I've covered in order to make these posters as ubiquitous as possible in your classroom, so I put together a short 4 minute video to help show you how I make these different sizes. If you haven't yet played around with print sizes with PDFs, let me warn you, it's addictive and so easy!! View this video below or on my YouTube channel HERE. 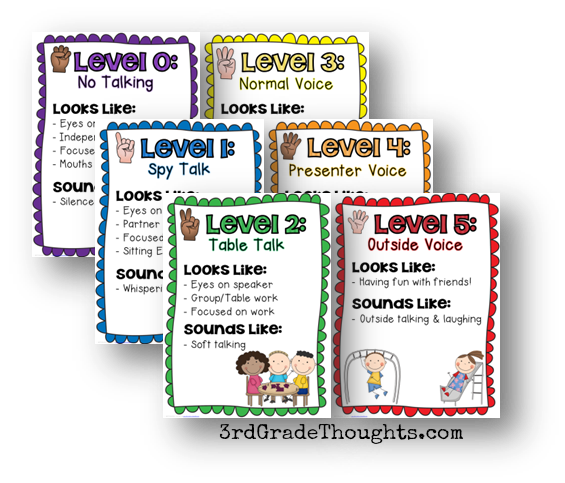 I hope this post gave you some ideas for how you can use my newest Voice Levels packet in your classroom! It's available on TpT HERE or by clicking the cover below. Thanks so much and let me know if you have any questions. Happy weekend! Great video! I didn't realize I could print specific pages by using a comma - I would print 2-6 and then when that finished print page 8. I assume I could just do 2-6, 8. Thanks for that awesome tip! Your posters are lovely too! I'm so glad the video can help! Those different printing strategies have helped me out in so many ways, I can't even count :) I hope you have a wonderful weekend and thanks for stopping by!